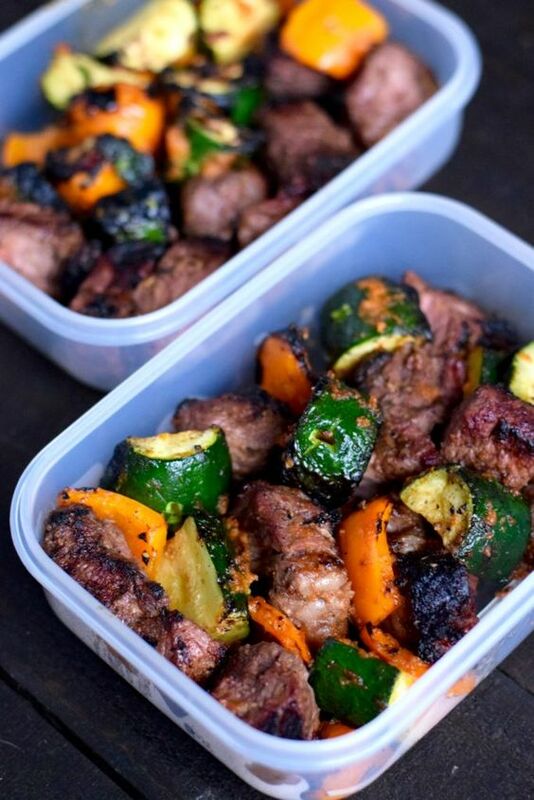 Delicious meal prep steak kebabs with bell pepper, zucchini, and tons of flavor! Once the meat has marinated, thread it onto the skewers alternating with pieces of bell pepper and zucchini. These steak and vegetable kebabs are the perfect summer dish. We’re a huge fan of steaks that are cooked medium-rare/medium, so to make sure that the steak and vegetable kabobs are both cooked perfectly we like to keep them on their own skewers. That way we can pull the vegetables off as soon as their done cooking, and keep the steak going.